I don't know about you, but now the days are turning colder, my hands tend to get incredibly dry. Particularly around the knuckles. In fact, this year they have been particularly bad. Step up then, Balance Me's Super Moisturising Hand Cream! 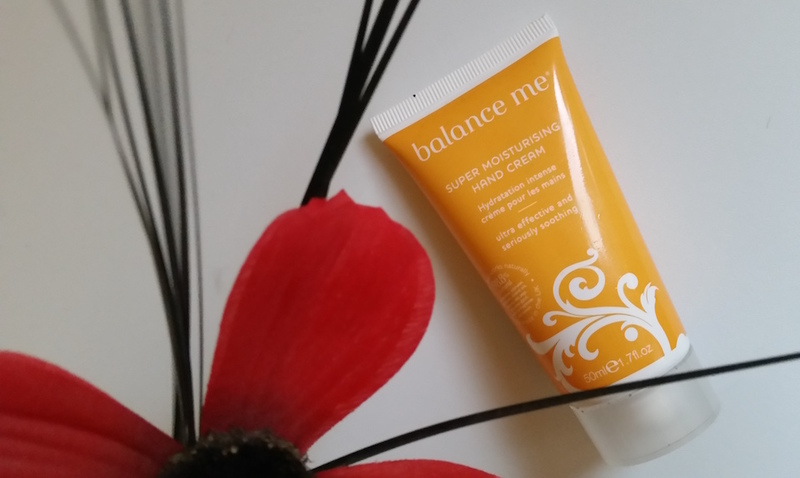 Balance Me's Super Moisturising Hand Cream is a 98.8% natural, incredibly rich cream that is designed to replenish the hands. It is super soothing to those with dry, sensitive skin and it also contains anti-ageing benefits. It contains a blend of "renowned ancient skin conditioners" including benzoin and yarrow essential oils, kukui nut oil, shea butter and lanolin. As well as being used on your hands, it can also be used on other dry areas of the body, such as elbows, knees and the heels of your feet. It comes packaged in a bright yellow tube that comes in differing sizes with a screw cap lid. The product information is written across it in white. The product itself is a thick, white cream. To apply, massage a pea-sized amount of cream into your hands and nails as often as required throughout the day. 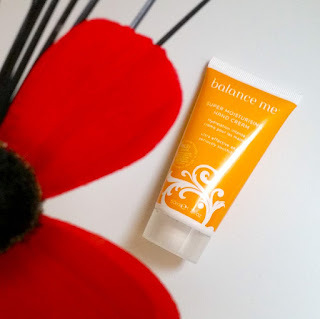 Being a huge fan of the Balance Me Super Moisturising Body Wash, the Super Moisturising Hand Cream was a must-try for me. The first thing that I noticed was a good point - it smells exactly like the Super Moisturising Body Wash, a smell that I love! The patchouli and benzoin make it a perfect winter scent. As I stated at the beginning of the post, dry hands in autumn and winter can be a real bother for me. Therefore, this cream has been getting a thorough test! Some moisturising hand creams can take a long while to absorb, but this one has no such issue. In fact, it absorbed at an impressive speed, so it’s great to use when on the go and when you need to get on with things. After use, even the driest patches of skin were left feeling super soft. On my knuckles there was a sore, cracked area that I hadn't noticed before I applied and this did sting for a few seconds when I used it (which is how I discovered the cracked part). However, it died down fairly quickly and there was no other effects afterwards. In fact, the area felt far better by the next day. I find that I have to use it roughly three to four times a day to keep my hands feeling their best, but at night I also apply it with some of InstaNatural's Argan Oil rubbed into my nails just before I go to sleep. In the morning I always wake up with happy, soft hands that feel healed as well as smooth. Overall, this hand cream is pretty great. It is intensely moisturising and soothing, perfect for mega dry hands. I'm always reaching out for this at the moment. In fact, my hands would be utterly miserable without it. 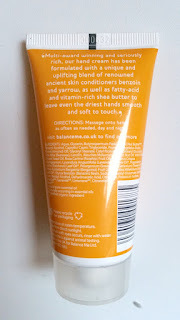 If you are on the hunt for a new hand cream, I highly recommend trying this one out! 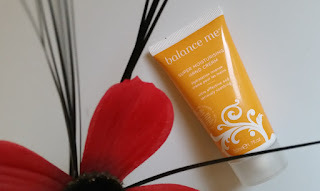 You can purchase Balance Me's Super Moisturising Hand Cream for £14.50/100ml from Feel Unique. At the moment you can also purchase this pretty amazing "Handbag Heroes" duo that contains the Super Moisturising Hand Cream and a gold Tangle Teezer for only £14.99 (Feel Unique) and a Balance Me Happy Hands Gift Set which contains a 30ml Super Moisturising Hand Cream for only £6 (Feel Unique)! There is also a duo pack with Balance Me's Rose Otto Hand Cream 30ml as well as the Super Moisturising Hand Cream 30ml for only £10 (Feel Unique). What are your thoughts on Balance Me's Super Moisturising Hand Cream? What's your favourite hand product? I have this hand cream and I have to say, I don't know why I've stuck it into storage now. I should crack this bad boy open and give my hands some of that sweet nourishment :) I love the bright packaging. It always lifts my mood. Great review I love this too. Got a bit of a handcream addiction and always have at least 10 on the go! Yves Rocher Temptation Days Special!